AG Healey Offers Legal Tips to Those Affected by Gas-Related Explosions. 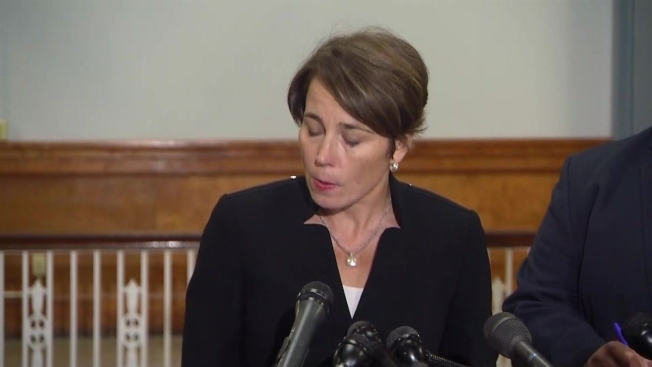 Massachusetts AG Maura Healey wants to furnish residents with information about the claims process, as well as making them aware of potential scams. Less than a week after announcing restoration plans for the Merrimack Valley, Columbia Gas reported that its natural gas venting project will be postponed until Wednesday due to the weather. Columbia Gas was slated to begin the Andover and North Andover project on Tuesday, two weeks after a series of gas explosions and fires that displaced approximately 8,600 residents. The company has been working toward a Nov. 19 deadline to fully restore gas to the affected areas. The venting process is described as a routine procedure to ensure that any residual gas is removed from the gas lines prior to crews beginning work. Venting is expected to occur throughout the restoration process, with gas workers and emergency responders around the area being vented. There will be some traffic in areas where venting is occurring. Officials said dozens of crews were expected to be deployed to work on the pipeline by Monday. They expect that number to increase to 195 by Oct. 8. Retired U.S. Navy Capt. Joe Albanese is serving as chief recovery officer for the restoration project. Massachusetts Attorney General Maura Healey held a Tuesday afternoon news conference with Lawrence Mayor Dan Rivera to discuss legal resources for those people affected by the gas-related explosions. Healey wants to furnish residents with information about the claims process, as well as making them aware of potential scams. "This is critical because people who are already suffering and vulnerable should not be exploited in this crisis," Healey said. She said her office has established a hotline for residents to call, 617-573-5370. People are also encouraged to consult this advisory and the attorney general's website. The disaster devastated the community, killing one person and injuring 25 others. Dozens of homes were damaged and destroyed during the explosions and fires in Lawrence, Andover, and North Andover. While the restoration process takes place, many residents have been given free, safety approved hot plates to cook food and heat water with. However, Andover resident Kathy Papadopoulous had an issue with hers Monday evening. "I had this right there, put a little oil, turned it on, it just went up in flames," Papadopoulous explained. What was supposed to be a fried egg for dinner, turned into a burned egg after her hot plate caught fire. "I'm never using it again," she told NBC10 Boston. Papadopoulous said she grabbed the hot plate and ran outside before calling 911. 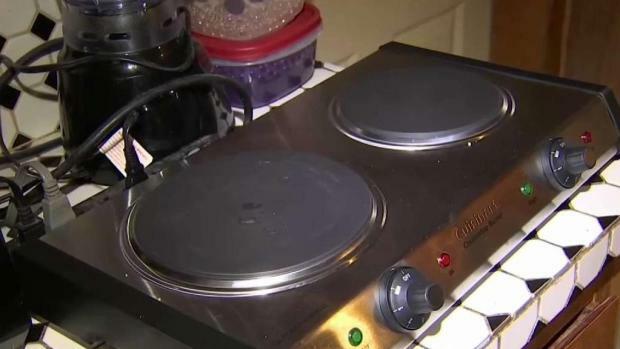 Andover Fire Rescue Chief Michael Mansfield told NBC10 Boston that running with a burning hot plate is not a good idea. 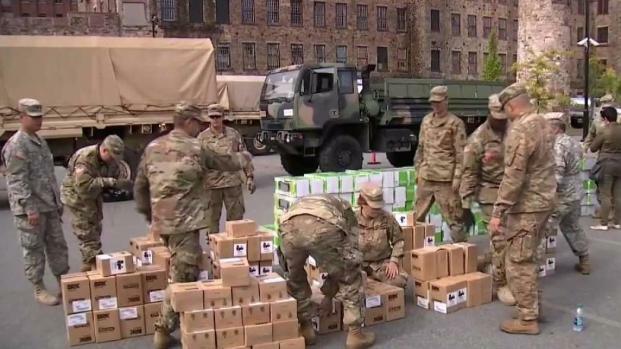 National Guard Helps Hand Out Space Heaters in Mass. Many residents are just hoping to stay warm as they remain without gas service after the Columbia Gas explosions in Merrimack Valley. Officials are distributing space heaters to help them. "If you take the pan and try to run outside with it, there’s a chance that you’re going to extend the fire to other areas of your home," Mansfield explained. Andover firefighters determined that the hotplate did not malfunction. Instead, Mansfield said the fire was the result of oil left on a pan on top of the hot plate, which ignited.